The Dominator software system is a non-standard product intended not only for playing in the terminal, but also for the interaction of users who participate in the program of the Gramotnost fund. It sounds pretty weird, but there’s really nothing supernatural. It’s just that the Dominator gaming system becomes a tool for legalizing gambling and benefiting people. You can learn more about what Dminator is from the manufacturer and the various gambling brands. You can buy, lease, and connect to Dminator using the services of the Casino Market company, which experts will tell you everything about the Dominator gaming system, how to apply it, and why it is profitable and useful. What is the Dominator gaming system? In fact, Dminator is the lottery software installed on terminals. This system was developed to receive charitable donations from citizens, and this process operates like a mutual aid fund, that once existed in the Soviet Union. That is, those willing to participate in the lottery deposit their money, and other players win that money. This idea is fully legitimately implemented without raising no questions from the authorities, since this organization is officially registered and is legally operating on the basis of the Law on charity. The Statutes of the Gramotnost fund stipulate that its purpose is to gather voluntary donations and collect financial resources that will later be used in the education and improving literacy level of the population. As you can see, the Dominator gaming system and its application are by no means illegal. Also, for more effective results, the Board of the Fund approved a specialized programme with specific measures and activities. First of all, the Dminator system will be interesting to lottery enthusiasts and visitors of bookmaker offices. As what concerns operators, Dminator allows them to conduct gambling business on a legal basis. It’s also worth noting that the Dminator system includes software from the famous developers such as Igrosoft, Novomatic, Mega Jack and Belatra. How to conclude an agreement on Dminator? The Gramotnost charitable fund collaborates with legal entities (companies), which get the right to receive or grant donations to third parties on behalf of the Fund on the basis of the concluded cooperation agreements. For their part, legal entities undertake to use the Dominator software system in their activities. The Dominator gaming system is the property of the Animatronics company, which has been registered in Costa Rica and acting in accordance with the laws of this country and its license. The Dminator system for gaming terminals is easy to connect on your own. There’s a video that shows the whole process on the Dminator website. However, experts recommend that you trust professionals, such as Casino Market professionals, who will perform the installation according to all the requirements within the shortest time. To begin with, you have to buy the Dminator casino software and rent a place where you can put the Dminator slot machines (lotto terminals or just one lottery machine). The next stage is to connect to the Internet and purchase furniture. You have to buy lotto software and install it on the trading terminals. The system for gaming terminals can start working as soon as an agreement with the Gramotnost Fund is concluded. Keep in mind that a person who wants to participate in a lottery is free to customize the interface of Dminator because the Dominator software complex can be both business-oriented and entertaining. The lottery software is integrated on Dminator slot machines, each of which costs about 60 to 70 thousand rubles. The Dominator gaming system presupposes a voluntary donation to the Gramotnost Fund system, after which the player will be able to engage in the process and receive the same help from the rest of the system participants. You can purchase Dminator with a package of documents necessary to conduct your business. You will receive all certificates, agreements and contracts, powers of attorney and findings of expert studies, rules, and instructions. 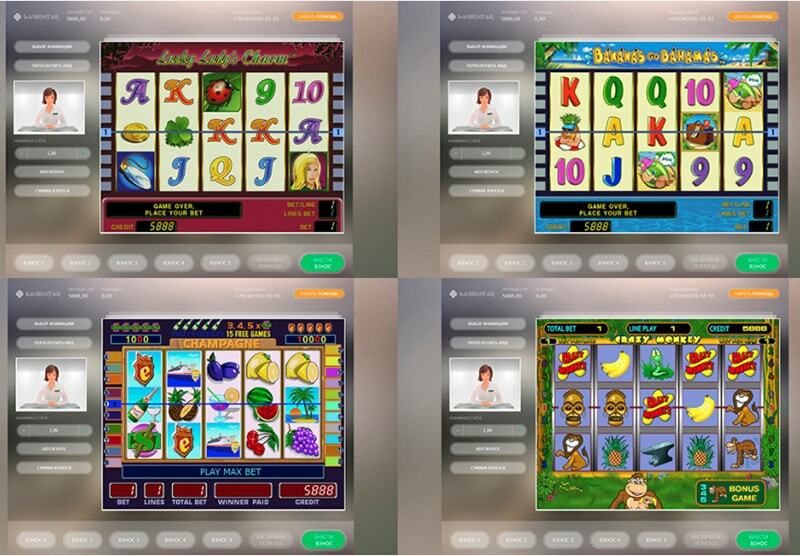 The lottery software installed on gaming terminals is of high quality, thus ensuring a stable work. The Dominator gaming system features cross-platformity, i.e. it can operate on any technical device (tablets, terminals, computers). Excellent mathematical characteristics guarantee it will appeal to players: this lottery software allows you to accurately identify who needs help at a particular time. Technical support is available at all times 24/7. Dminator owners are guaranteed a steady income (due to a clear system of settings and quality software for lotto terminals). To maintain this kind of business, you can not just buy Dominator but also use the existing machines, such as terminals for binary options, stock terminals and dealing rooms simply customizing them to Dminator. The Dominator software complex also includes a remote back office that allows you to manage the system, monitor statistics, and control all the processes in the system. The Gramotnost fund of mutual assistance offers partners a franchise under its patronage without a lump contribution, with documents provided free of charge and royalty of maximum 15 per cent. The software is similar to lotto software. It has a high level of quality and reliability. The trading terminals and dealing rooms are already operating throughout Russia and other CIS countries. 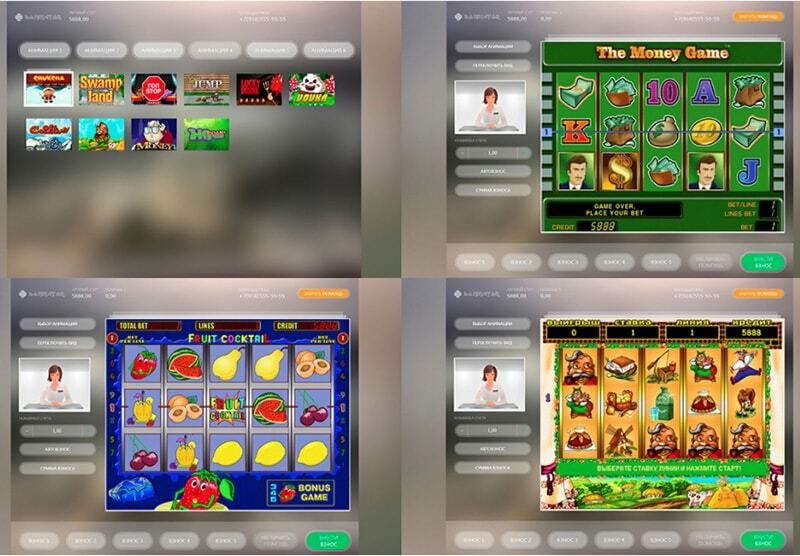 The professionals developed slot machines for Android, which increases popularity of the Dominator gaming system: it is convenient for use anywhere and at any time on a tablet or mobile phone. The winnings can be obtained on the same device (terminal), which the game was played on. Available from any technical device and allows you to control all processes on objects including the opportunity of their deletion. Control and management can be done online by studying the balance sheet, report, and analysis of the game process. Subagents can be connected at any time to a wide network of terminals and dealing rooms. You can adjust any settings (including jackpots, percentages of winnings, bonus systems, and more) in a single terminal and in the entire network. Any game changes related to the limits will be sent to the mobile phone as an SMS message. Information on installation and software is located in administration system on the referenced links. By using certain options, you can block one terminal as well as the entire group by clicking a button or postpone the blocking. So the essence of the Dminator system for gaming terminals is to enable customers to make voluntary financial contributions for the benefit of the Gramotnost fund and to give charitable donations from the organization's budget to private individuals. The Dominator software makes it real to transform a typical illegal gambling club with casino software integrated on lottery machines into a legitimate dealing centre with an authorized business with stable profits. Remember that the owner of the Dominator gaming system is Animatronics LLC, and the company's direct partner is the Gramotnost fund. These organizations concluded a partner licensing agreement, and the Fund is entitled both to use the Dominator software package and to delegate the authority to its partners. You can buy Dominator from the Casino Market company, which can also help you integrate Dominator software in common stock terminals, purchase vending equipment, or binary options. Feel sure to address these experts of slot machines and terminals!